The Maltese artist Giuseppe Galea is arguably one of Malta’s finest decorators as can be demonstrated by his impressive portfolio.This exhibition highlights the life drawings he undertook when in Rome. 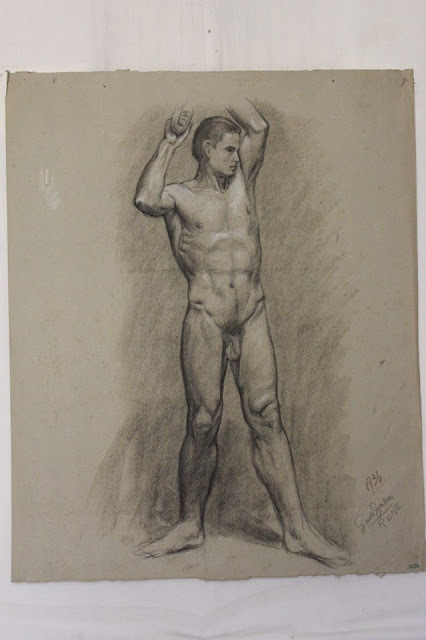 He studied life drawing under the tutelage of the great Maltese sculptor Antonio Sciortino and these drawings are specifically from this period. These works in particular have been selected to show the artist’s skill and technique. His drawings are undoubtedly classical in their manner and reveal the keen eye for detail that the artist possessed. The Mdina Cathedral APS Contemporary Art Biennale 2017 has decided to highlight this unfortunately under-represented element of the artists capability as these drawings display Galea’s talent and extensive technical knowledge.